This Clean Fast Washroom Cleaner from the Evans brand is ideal for use in workplaces and commercial premises. It is a high effective multi surface cleaner that is designed to kill bacteria, while also removing limescale, body fat and stubborn soil. It can be used in washbasins, baths, showers, toilets, swimming pool surrounds and changing room floors. It comes in a 5 litre bottle and is available to buy online as part of a bulk buy option. 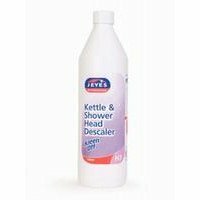 Kettle and Shower Head Descaler is ideal for the descaling of metal and plastic kitchen and bathroom appliances such as kettles, coffee machines and shower heads. It is fast acting, non toxic and safe for use on plastics. 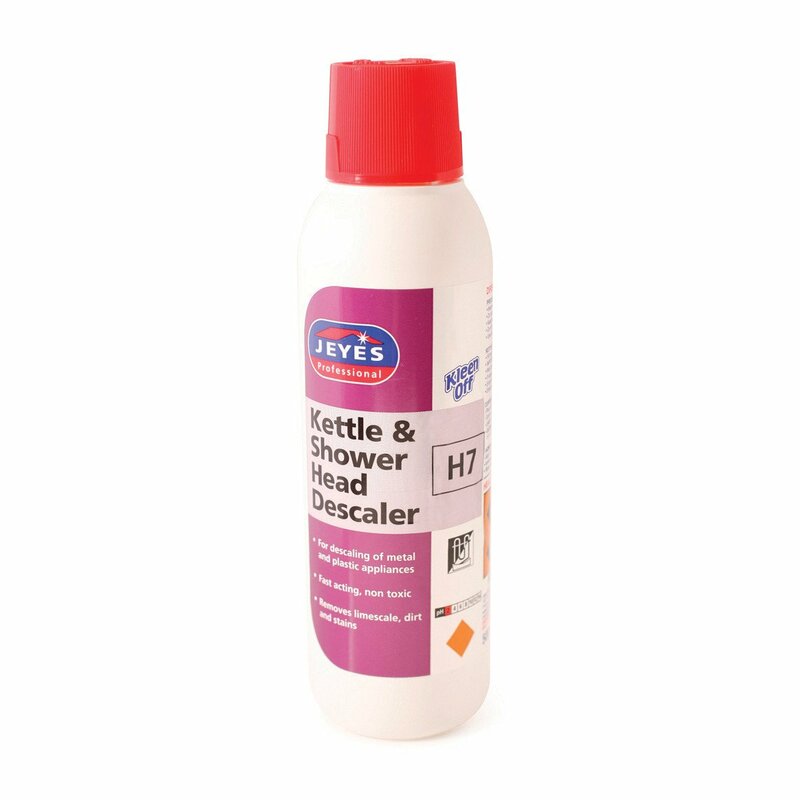 Limescale, dirt and stains are quickly and easily removed. The importance of keeping shower heads clean has recently been highlighted by the release of an American scientific study. Tests revealed that nearly a third of shower heads were harbouring significant levels of a bug that can cause lung disease. Levels of Mycobacterium avium were around 100 times higher than those found in typical household water supplies. Mycobacterium avium forms a biofilm that clings to the inside of the shower head. The authors of the study say their findings may explain why there have been more cases of these lung infections in recent years, linked with people taking more showers and fewer baths. Water spraying from shower heads can distribute bacteria-filled droplets that suspend themselves in air, these can then be easily inhaled deep into the lungs. This is rarely a problem for most healthy people, but for those with weakened immune systems such as the elderly, pregnant women or those fighting off other diseases it can lead to infection. They could develop lung infection with Mycobacterium avium, experiencing symptoms such as tiredness, a persistant dry cough, shortness of breath, weakness and generally feel unwell. Showers have also been identified as a route for spreading other infections, including Legionnaire's disease which is an extremely severe form of pneumonia. A bacteria called Pseudomonas aeruginosa which can cause infections has also been found.